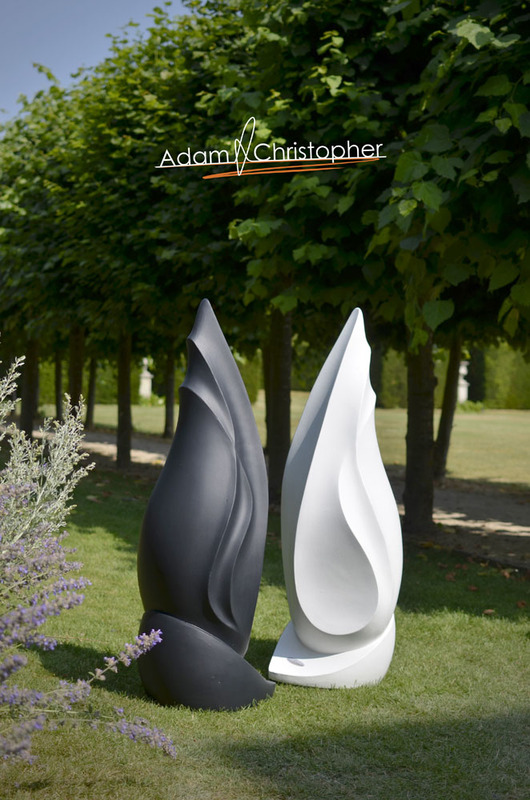 This Flame combination is a double sculpture and shows off the design in its most contrasting colours. 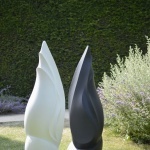 It is one of the best combinations I offer and really makes a great centre piece. 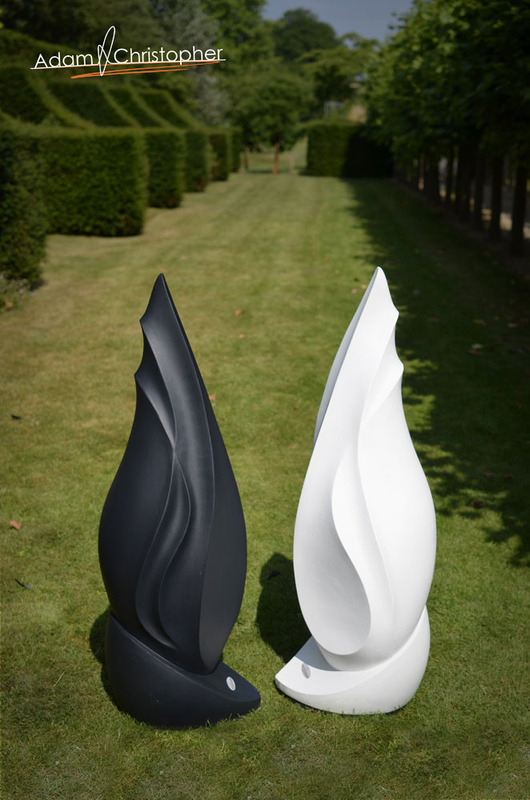 Flame modern garden sculpture is available in over 400 different colours and is made to order so please feel free to quiz me. 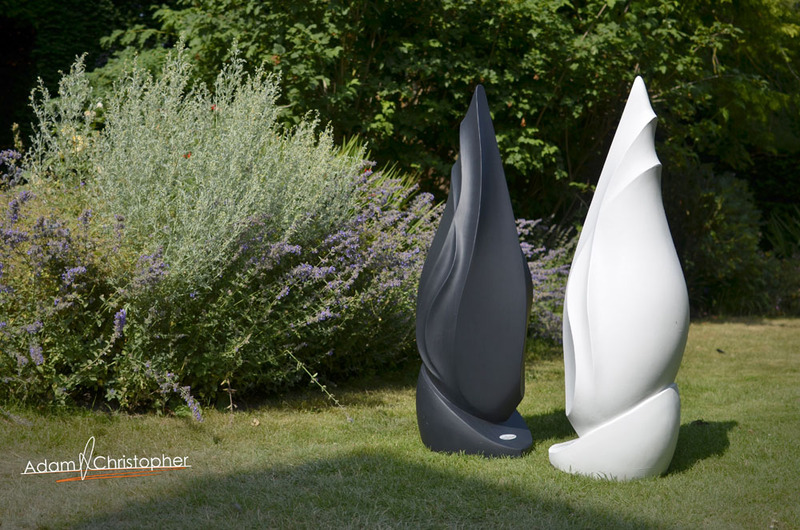 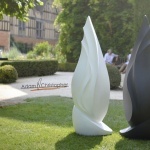 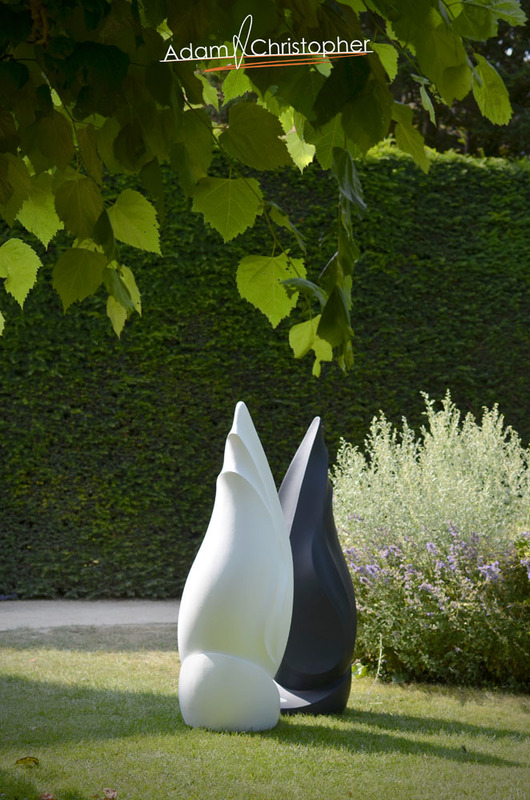 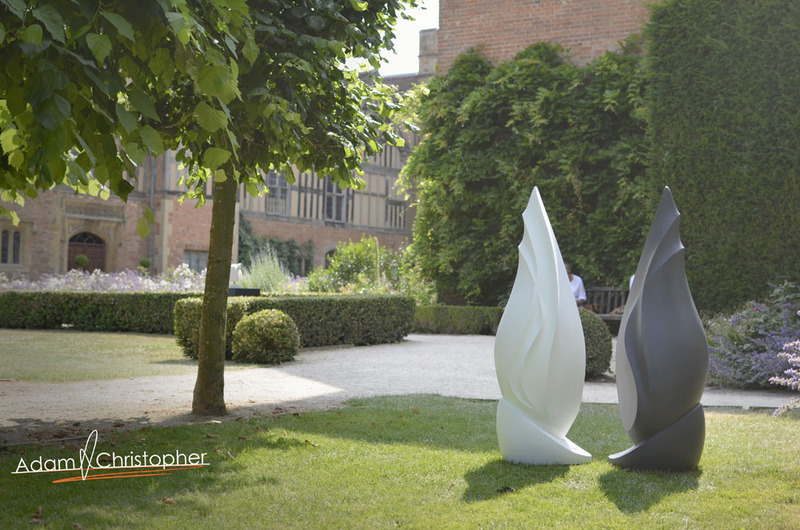 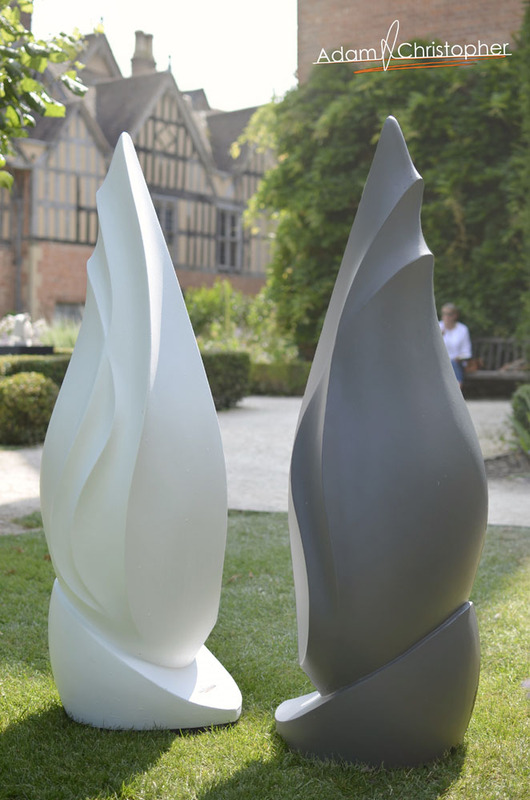 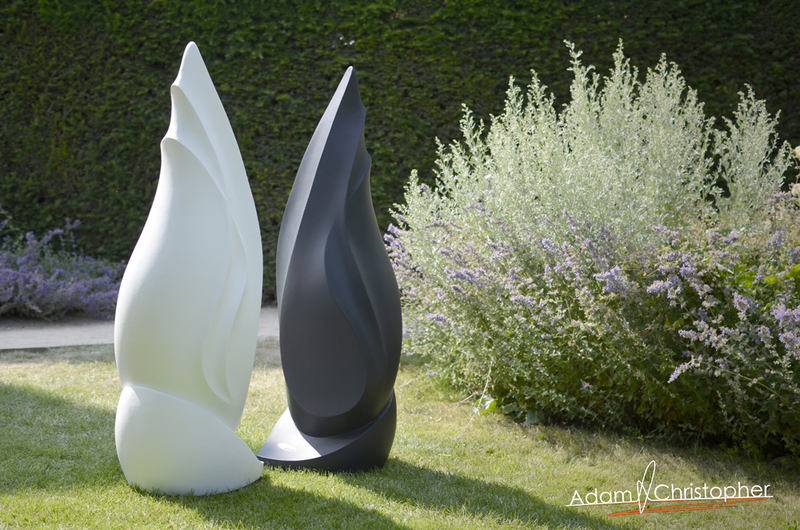 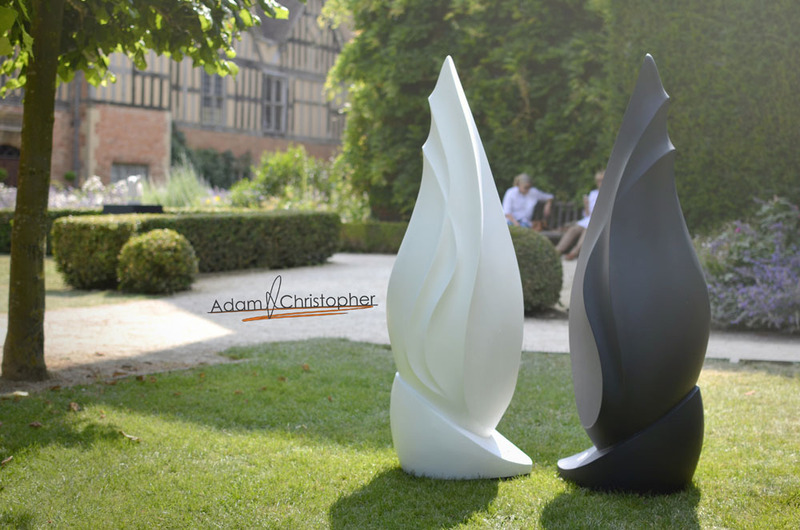 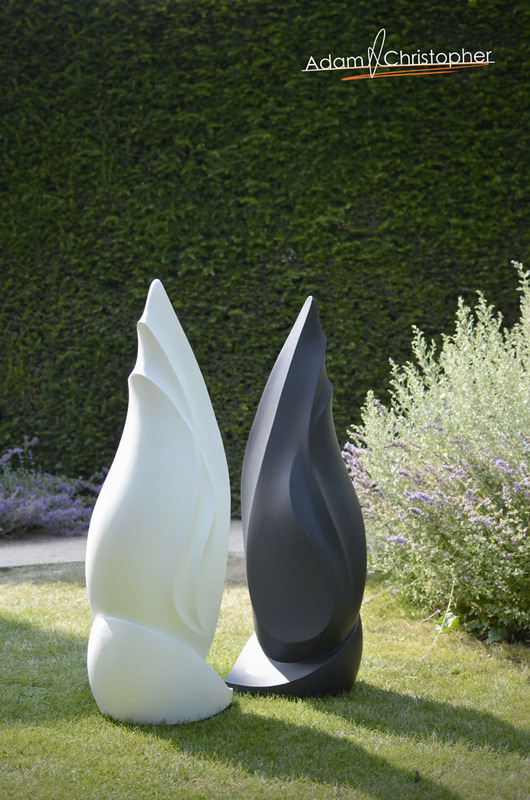 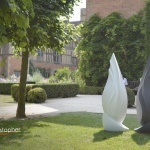 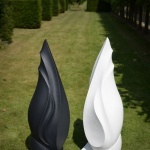 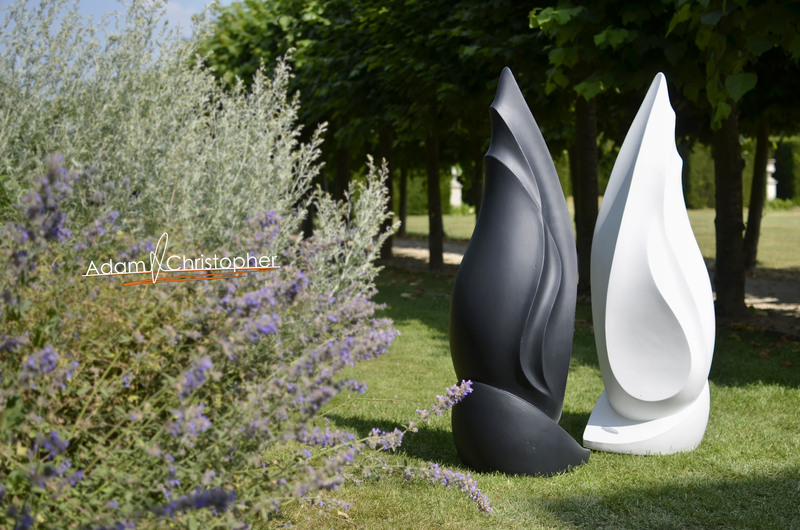 Flame, the modern garden sculpture, looks great when paired up and painted in contrasting black and white. 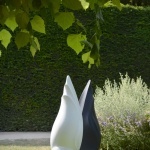 It was by accident I discovered this but I am glad I did. 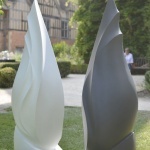 Seen here standing at the entrance to Coughton Court it looks really striking and works wonderfully.